1. 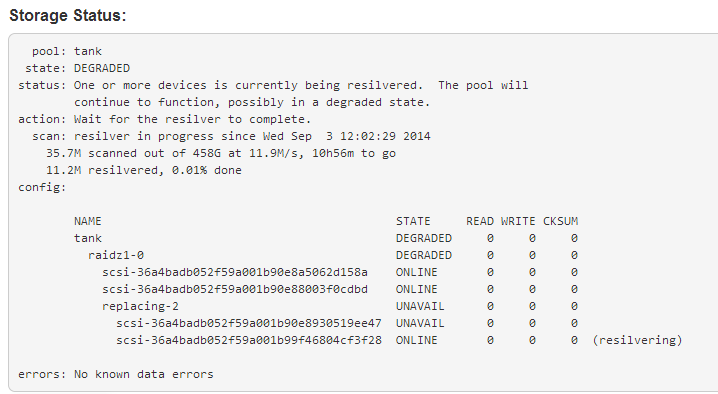 If your pool has lost a disk, but the RAID is still intact (you have not lost two disks in a RAID5 or three disks in a RAID6), your pool will be in a degraded state. 2. 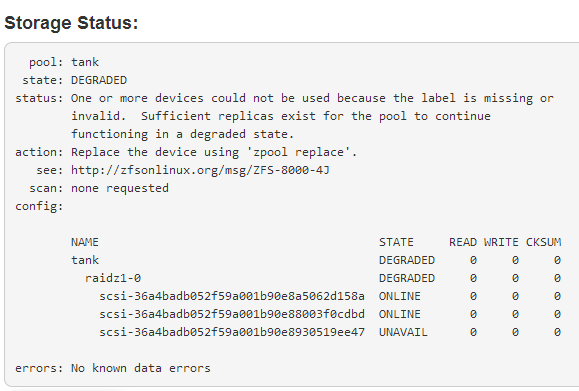 Use the Storage Pool drop-down to find the Failed Disk(s) section. Here you should see your failed disk. 3. After physically replacing the failed disk (and re-creating the disk as a RAID0 if the RAID controller is not passing the disks as JBOD) with a disk of equal or greater size (reboot required), use the Storage Pool drop-down to find the Unused Disk(s) section. Here you should find an unused disk. 4. 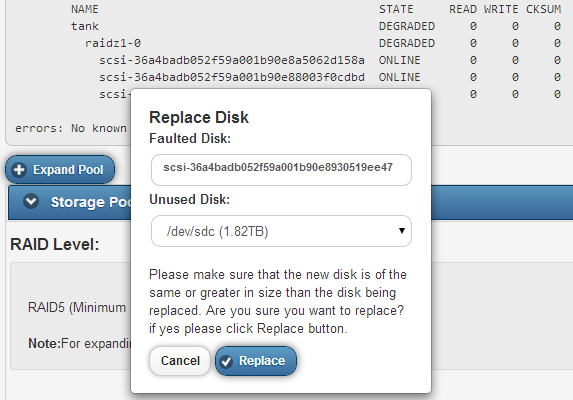 Head back to the Failed Disk(s) section, and click Replace next to the failed disk. Select the correct Unused Disk and click Replace. 5. You will see a popup notifying you that the disk is being replaced. 6. While the disk is being replaced, you will see the resilvering status under Storage Status. 7. When the resilvering process is complete, the pool will return to an Online status.